In any performances, you do not want your listener to cover their ears for you are playing loud with an out of tune guitar. Having a well-tuned guitar and an ability to tune your guitar by ear is very important. So let me give you some helpful tips on how to tune your guitar. Unless you have a “Perfect Pitched Ears” to tune your guitar, you need a Reference Pitch to be able to compare while tuning your instruments: a tuning fork, pitch pipe, piano, or another reliable-tuned instrument. We call it Relative Pitch ears, where you relate a pitch from another pitch. By the way, tuning your instrument using a digital tuner (visual tuning) is a preferable way during live performances or for quick tuning. Using a digital tuner is another topic we can discuss in the next article. Before you make any adjustment with your guitar, make sure you have a reference pitch. I used to carry in my gig bag a chromatic pitch pipe or a tuning fork. 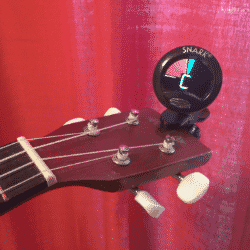 Now I use a digital clip-on tuner with my guitar, so I can tune it without making a loud sound on stage. The new digital tuner works by picking up the strings vibration and not from the sound signal input. My favorite clip-on tuner is made by D’Addario. It is smaller than Snark and snugs well on the headstock. I do not prefer Snark as I had broken many of them before because it sticks out on top of the headstock as compare to the D’Addario one. [Read more…] about How Do You Tune a Guitar by Ear? In a gathering with your friends or family, some of them might know how to play the guitar, and some might know how to play the ukulele or bass guitar or maybe there is already a piano player. Where to begin? Well, playing music with different instrumentation is always a tricky subject. Guitar and ukulele are two different instruments but they can complement each other very well. With this article, I would like to share with you how to play music with a guitar and ukulele together harmoniously. 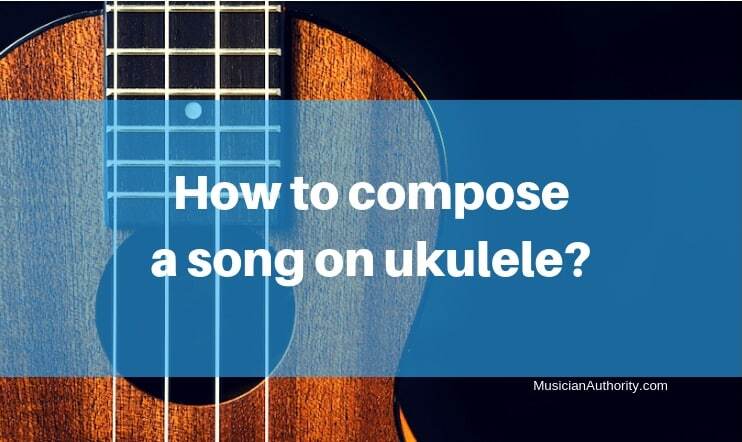 Now you might be scratching your head and asking hmmm, so “How to Play Guitar and Ukulele Together?” When playing guitar and ukulele together or any instrument, one must always keep the sound in mind. Have a balanced sonic palette or simply balanced sound with your instrument. Even at the early stage of your playing, always be aware of the sound that you are creating or playing. Similar to a painting. No one would appreciate a painting that has no balance in color shades or organization. One might say it depends on the eye of the beholder or the ear of the beholder. To better understand what I mean about balance in music playing, let me introduce you some simple concept. When playing with two or more musician, one should ask a question like “should I play: louder or softer, higher or lower, longer or shorter, faster or slower, more or less, or not play”. Or probably ask who is playing what? Me or you? Listening to each other’s playing is also essential in achieving a balanced sound. [Read more…] about How to Play Guitar and Ukulele Together?